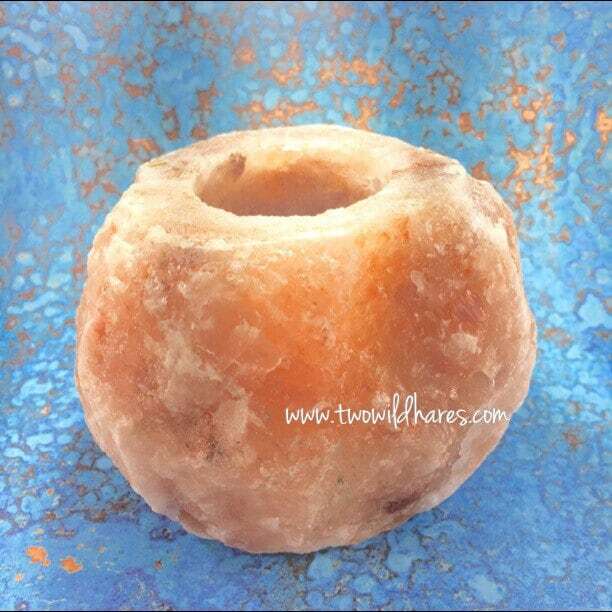 This is an all natural pink Himalayan Salt Crystal candle holder. It is a 1.5-2 pound crystal chunk with a hole in the middle that will perfectly hold a flame or battery operated tealight or votive. Some people say pink salt ionizes & purifies the air. For certain, the warm, pink glow perfect for a bath that will relax your senses. To use: Run a warm bath or steam up the bathroom with a hot shower. Light the candle in your Himalayan crystal candle holder. Turn out the overhead light in your bathroom and bathe by the glow of the light from this candle holder instead. The soft pink glow and low light is very restorative and calming to your senses. We live in an overstimulated society with a barrage of sensory overload. I love the calming effect of this candle holder and a simple bath or shower. It's naturally very pretty on the countertop in your bathroom or anywhere in your house as well. 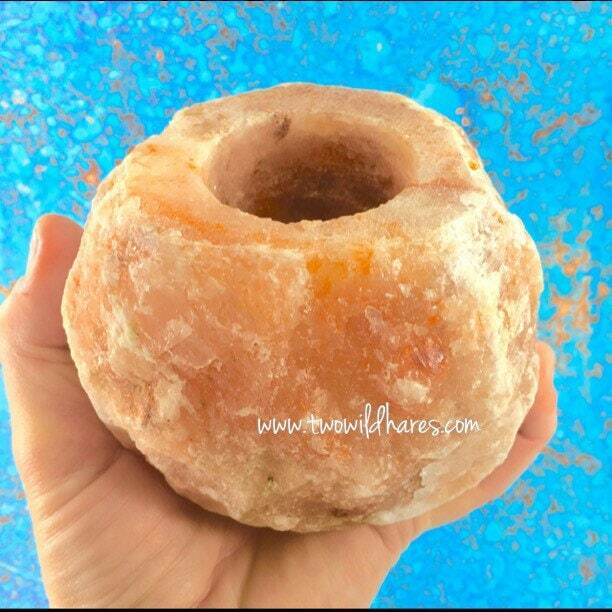 These are all natural Himalayan salt crystals from the Himalayan region, not counterfeits. So, they will vary in shape & color. These crystals range in size from 1.5 lb-2 lb. 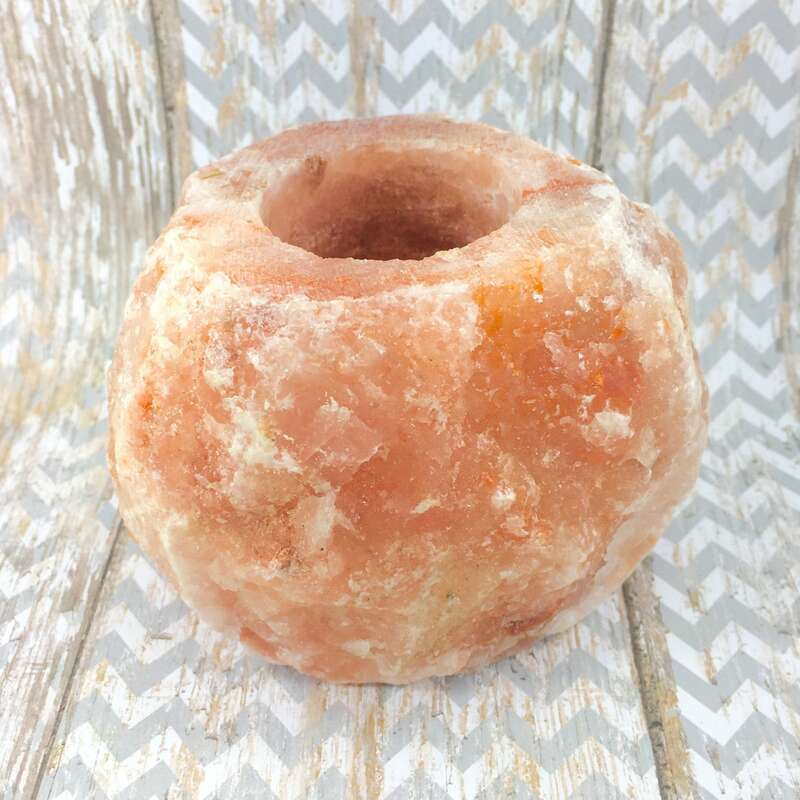 Check out our listings for other Pink Himalayan salt products, natural sea sponges & more!